“TraitWareID simplifies and secures access to protected websites and applications by employing the user’s mobile device as a login token, eliminating the use of inconvenient and problematic usernames and passwords. TraitWareID does this with patent-pending technology, which begins with user authentication, then binds the user’s identity to their device. TraitWareID utilizes digital identity mapping to analyze the user-created content of the authentication device. 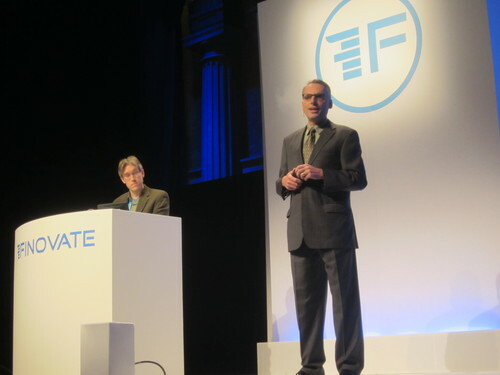 For our first ever two day FinovateEurope conference, we’ve selected 64 of the most innovative companies in fintech to demo their newest technology to an audience packed full of banking executives, press, analysts, bloggers, and more. Don’t miss your chance to see the live demo from each company and be a part of our FinovateEurope conference at Old Billingsgate Market Hall in London on February 12 and 13. Get your ticket here. Mobile devices are rapidly taking place of credit cards and visits to the bank. How can you have confidence that the user on the other end of that high value transaction is who they say they are? TraitWareID. So why not learn more about a comprehensive authentication solution specifically configured for applications with mobile users that offers a versatile, single, integrated approach that does not require additional hardware? Everyone knows the importance of social networks in the financial world. Millions publicly discuss their experiences with the different brands they interact with throughout the day. It also applies to the financial markets. Investors, large or small, share their views on the main market securities and how emerging news influences their trading. And of all the social networks, Twitter is probably the most widely used for this type of analysis. But, is there any chance to analyse the conversations about stocks and to obtain a sentiment? We will show you that is possible. Biletu is the new way to organise events and share expenses between friends, family and colleagues. Cardlytics is a real-time marketing and analytics platform that enables over 350 banks globally to bring profitable, targeted rewards to their consumers. Cardlytics’ latest innovation is an integrated Facebook app, containing a rewards summary page showing a customer their available offers. 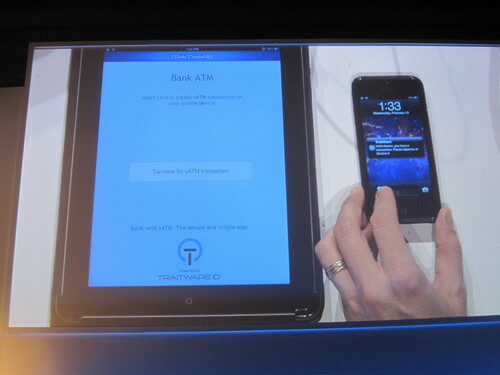 Launching in 2013, this will allow banks to have a meaningful and valuable customer conversation in social. Watch as we demo creating the Facebook-to-Customer relationship, preserving customer privacy through our patent-pending OPS & OMS systems. Once the link is made we will demonstrate the targeted rewards and savings earned for a customer through the Facebook interface. Comarch will showcase two solutions, which work together guiding customers from the interpretation of their transactions to suggestions of products and services that can really help them improve their financial standing. Comarch solutions use multiple motivation techniques to help customers achieve financial fitness through sound personal finance management. Dashlane, winner of Best of Show at FinovateFall in NYC 2012, will demo their core technology: a consumer app (desktop and mobile) that enables users to instantly checkout, login and fill forms in a flash universally on every website and every device, without the need for any site-side integration with merchants whatsoever. In addition to being a secure personal data management tool and the “point of payment choice” for users, Dashlane offers financial services and ecommerce partners a privileged seat next to the user during all their online transactions. Big Data. Pretty much the two words that are on everyone’s lips, but much harder to actually put into action… until now, that is. ERN will show you how our unique, big data technology platform brings together card payment and merchant data in real time. Using that data and insight, we’ll show you how (at last) you can intelligently target loyalty programs and marketing campaigns effectively. Better still, there’s even a smartphone app to deliver your customers eReceipts and mCoupons. We look forward to showing you how you can close the loop on payment Big Data and create value from every single transaction. eyeOpen is launching the world’s first digital mortgage advisor. The digital mortgage advisor provides consumers with best-in-class mortgage advice. It provides banks and insurance companies with a leading user interface in conversions, advice algorithms and a management information dashboard on consumer behavior. eyeOpen tested the digital mortgage advisor in The Netherlands with leading banks such as Rabobank, ING and ABN AMRO. The company sells the consumer advice software in Europe from its Amsterdam office and in the USA from its San Francisco office. EZBOB offers real-time financing for e-commerce businesses in the UK. The company has developed a web-based lending platform which gathers data, in real-time, allowing for instant lending decisions. An e-commerce business is analysed based on data pulled through API connections to data sources such as Amazon, eBay and PayPal, as well as strategic partners such as Channel Grabber, EKM and others. EZBOB’s proprietary algorithm allows the company to look beyond a traditional credit score. Learn how Financial Simplicity’s portfolio business management infrastructure enables wealth firms to operate thousands of individually tailored investment portfolios efficiently and compliantly. Story of My Finances is an entirely new approach in digital financial customer service. It takes online banking and PFM to the next level of mass retail financial planning and advice. Stories are customer-driven financial life processes, such as How to spend less, Prepare for a rainy day, Buy a home or Retirement planning. Stories help end-customers to get financially fit and to have a peace of mind. Stories are the missing link between everyday people and financial products. We believe that we can improve people’s financial life by licensing our white-label technology to financial institutions. You’re seated comfortably watching TV, and suddenly you’re notified that a bank deposit was made into your account. Good news! Simply click, and you can see the details. The Home Shopping Network presents the set of cooking pans that you have had your eye on for ages. With the press of a button, the pans are on their way to your house! Kalixa believes that today, payments simply don’t meet the real needs of consumers and businesses. For businesses payments are expensive, fragmented and leave them exposed. Ed Chandler, CEO of Kalixa, will showcase how next-generation technology that underpins a total payment journey can transform payments from a source of cost, complexity and confusion into a sustainable competitive advantage that stimulates innovation and fuels business growth. We truly believe that the financial industry needs a radical rethink and that innovative financial services offering fair prices, transparency and creating no systemic risk are more important than ever. Based on these conclusions, we developed an alternative to traditional FX products and services offered by banks and brokers. Kantox is a marketplace where companies can look for and find others companies – their counterparties – to exchange foreign currencies spot and forward without the intermediation of banks. Luminous’ BankFiling loan origination solution enables financial institutions to increase lending to banking customers, while reducing risk. mBank & Efigence present the first European comprehensive Bank 3.0 revolution in a large bank with a full financial product portfolio. mBank, an online bank, has successfully leveraged the internet to organically become the third largest in Poland. Now, it’s re-inventing itself by bridging startup-grade innovation on a mass scale. It will implement a wave of next-gen services: transactional banking, transactional/real-time marketing, PFM, social, gamification, video banking, mobility and more. It will show its innovative transactional site and the first European implementation of transactional marketing, highlighting a creative take on Facebook, social platforms and real-time consumer gratification. Movenbank will be the first consumer banking experience centered around mobile and enabling a consumer’s everyday financial wellness. We combine mobile banking, mobile payments, and real time financial health and spending insight to help customers spend, save and live smarter. Consumers pay with their mobile phones and receive insight on their spending behaviors at the point of sale when it matters most. When was the last time your checking account did that? Your customers want a mobile service that is as smart as their device. Are you delivering? When customers use your mobile service, they often require assistance beyond self-service to resolve their needs. Having them realize they now need to call your contact center and start from scratch with the IVR causes disappointment and frustration. NICE Mobile Reach complements mobile self-service to bridge it with assisted-service channels. It lets companies intelligently engage their mobile customers, seamlessly connect them to the right representative with full context transfer, and then powerfully collaborate with them during the interaction. That’s smart customer service that creates value! The Open Bank Project (OBP) is an open source-powered API for banks that enables account holders to access their transaction data using a wider range of applications and services. The OBP API supports transparency options (enabling account holders to share configurable views of their transaction data with trusted individuals and even the public), data blurring (to preserve sensitive information) and data enrichment (enabling users to add tags, comments and images to transactions). The OBP App Store enables banks and developers to showcase supported apps. The new, highly volatile market order that’s been prevailing for the last few years is raising the pressure on you to come up with asset allocations that are precisely fitted to your clients’ profile. Clients increasingly challenge the proposed investment strategies’ ability generate performance while preserving wealth. The BlackSwan Financial Platform lets you engage your clients in an interactive analysis of their risk. Explore investment options together with your clients and guide them through an informed process in selecting the most optimal asset allocation for their profile using clever quantitative finance algorithms. EdgeConnect is the industry’s most dynamic user experience platform (UXP). EdgeConnect provides a single, consistent platform that enables superior user experiences to be delivered across multiple distribution channels, for any product, any user, in any language and optimised for each device. A major new editor within edgeConnect, LiveDesigner, is a game-changer in application design. It allows designers to change the look and feel, layout and behaviour while an application is executing, so that they can make changes and see the effects on dynamic application pages prior to live deployment. The Currency Cloud transforms the way businesses make international payments. We inject cost savings, transparency and productivity enhancements into the payment process to deliver a service businesses deserve. Our platform connects to a host of exchange rate providers and payment networks to optimise the conversion, sending and receiving of international payments. Businesses access our service directly online, through our API, or via the multitude of firms such as banks, brokers, remittance agents, IFAs, and accounting solutions providers that extend our capabilities through their own services. We will be showcasing the power of integrated international payments within treasury solutions. Could the banks have avoided over $1 billion in fines for anti money laundering violations with this True Office game? By playing the True Office | Thomson Reuters Anti Money Laundering desktop and mobile app, financial services employees are exposed to the regulatory risks they confront, and learn how to comply with anti money laundering laws and company policies. The data generated from this app provides financial services institutions with compliance analytics that help identify and reduce instances of anti money laundering risk. TSYS Spend Controls puts control over card usage into the hands of the business owner or program administrator. It provides businesses a means to implement upfront transaction controls to ensure cardholder compliance with purchasing guidelines. Administrators manage parameters using a simple Web-based user interface, establishing guidelines according to business, department or individual needs. Each transaction is reviewed at the point of sale based on the pre-established parameters. Virtual Piggy is the first e-commerce solution that enables kids to manage and spend money within a parent-controlled environment. We deliver online security platforms designed for the Under 18 age group in the global online market, and also enable online businesses the ability to function in a manner consistent with the Children’s Online Privacy Protection Act (“COPPA”) and similar international children’s privacy laws. VoiceTrust inTalk increases customer convenience, reduces call times, and provides enhanced security at financial institutions’ call centers. It does this by verifying a customer’s identity through passive listening to the conversation between the agent and the customer. Independent of the language spoken or the words uttered, inTalk is able to compare the speaker’s voice against the account holder’s voiceprint and indicate whether the speaker is the account holder or an imposter. The agent is alerted with a graphical indicator on their monitor. Yseop will present several intelligent text-generating financial solutions. We will demo a prep-to-meeting report written in two seconds, an automatically generated two-page financial executive summary based on the latest market data and a personalized retirement planning application. Yseop is artificial intelligence that writes (and speaks) non-repetitive intelligent text, just like a human being, but at a speed of thousands of pages per second. Yseop analyzes a company’s business data, dialogs intelligently with its customers to understand their goals and then generates written comments and recommendations following the best practices of the company’s top experts.